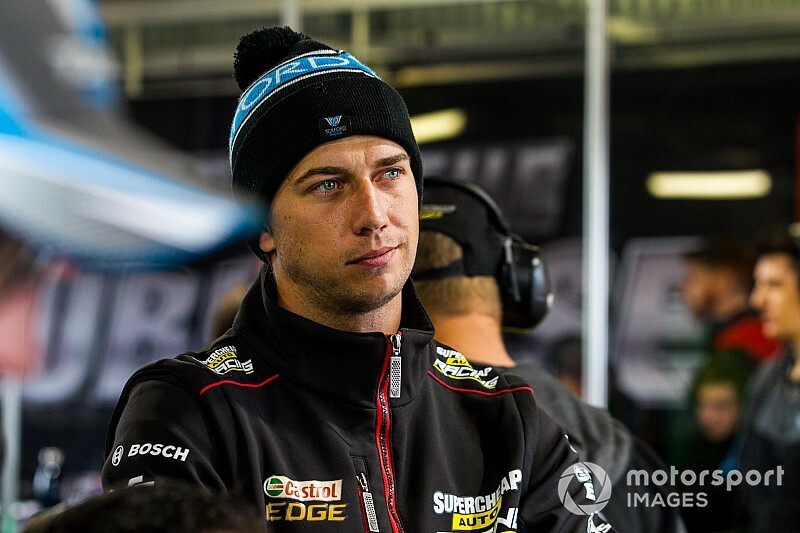 Chaz Mostert topped a weather-affected third and final Supercars practice session at Pukekohe. The Tickford driver got the best of drying conditions at the very end of the session, which left him just over a tenth clear of Nick Percat and Michael Caruso. Sprinkling rain intensified moments before the 20-minute session went green, making for effectively full wet conditions from the word go. 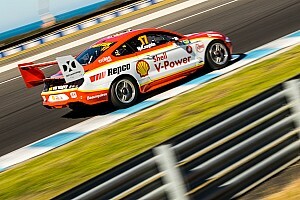 Times initially hung around the 1m12s, Fabian Coulthard leading the way early with a 1m12.054s. Just after the five minute mark Shane van Gisbergen went into the 11s for the first time, his 1m11.207s leaving him well clear of the field. As the session wore on conditions improved slightly, the likes of Mostert and Cam Waters closing in on van Gisbergen's benchmark time. Lee Holdsworth then went quicker with eight minutes to go, a 1m11.121s handing him a three-minute stint on top. With five minutes to go van Gisbergen and Mark Winterbottom both dipped into the 10s, the Red Bull Holden driver with the advantage thanks to a 1m10.889s. He then stretched the margin to over a tenth with a 1m10.776s with just under three minutes to go. 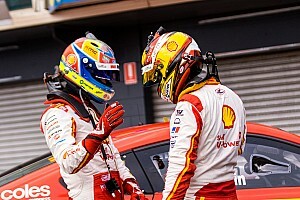 The final two minutes of the session saw the best of the conditions, with van Gisbergen's time shuffled down to eighth as a number of drivers improved. The likes of Holdsworth, Richie Stanaway, and Nick Percat all flashed to the top of the times, however it was Mostert that put the best lap together, his 1m10.349s good ultimately the time to beat. 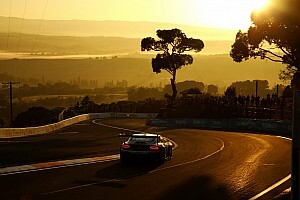 "We pretty much ran our dry set-up then, and the car seemed to be pretty responsive in the wet," said Mostert. 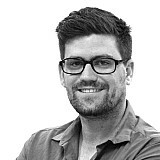 "We're excited about that. "At the end part of this season it's no secret that we're trying different things, trying to get the performance back in the car and [engineer] Adam [De Borre] has done a pretty good job of that. "In saying that, the track was drying at the end so who was out on the last couple of laps got the times towards the front. But the car is responding well, it feels good under me, so its promising signs." Percat and Caruso were second and third, followed by Holdsworth, Tim Slade, and Andre Heimgartner. Stanaway ended up down in seventh, but it was a run-in with Fabian Coulthard that was the highlight of his session. The bizarre incident happened as Stanaway performance a flick-spin after a Turn 6 spin, almost clattering into Coulthard who was driving towards him. "If my car was black and matched the road I could understand it," said a perplexed Coulthard. "But it's pretty bright, pretty red. You can definitely see me coming. It was a 'shut my eyes' moment, I definitely thought he was going to hit me. Thankfully he didn't." Van Gisbergen was best of the guys to not run right at the end of the session in eighth, followed by teammate Jamie Whincup and Coulthard.